A response to this blog post was written by Colin Cherry on his weblog. His article is entitled (In Response to DEWT5) – What Has a Test Strategy Ever Done for Us? Among a conference of 24 professionals there seems to be no agreement at all on what test strategy is. 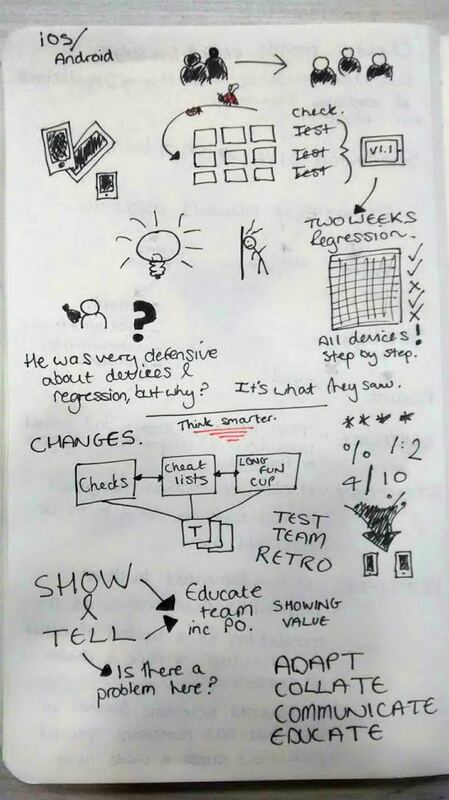 In putting together a talk for DEWT5 I struggled to find examples of me creating and handling a test strategy. In retrospect, perhaps this struggle was not as much caused by a lack of strategizing on my part, as it was caused by my inability to recognize a test strategy as such. Still I find it utterly fascinating that in the field of study that we call ‘software testing’ — which has been in existince since (roughly) the 1960s — we are at a total loss when we try to define even the most basic terms of our craft. During the conference it turned out that there are many ways to think of a strategy. During the open season after the first talk, by the very brave Marjana Shammi, a discussion between the delegates turned into an attempt to come to a common understanding of the concept of test strategy. Luckily this attempt was nipped in the bud by DEWT5 organizers Ruud Cox and Philip Hoeben. For the rest of the conference we decided to put aside the nagging question of what me mean when we call something a test strategy, and just take the experience reports at face value. In hindsight, I think this was a heroic decision, and it proved to be right because the conference blossomed with colourful takes on strategy. Particularly Richard Bradshaw‘s persistent refusal to call his way of working — presented during his experience report — a ‘strategy’, now does not stand out so much as an act of defiance, yet as an act of sensibility. A definition of test strategy that reflects Richard’s point of view and was mentioned in other experience reports as well, is that a strategy is “the things (that shape what) I do”. And yet I couldn’t help myself by overturning the stone yet one more time during lunch on Sunday with Joep Schuurkes and Maaret Pyhäjärvi. Why is it that we are in a field of study that is apparently in such a mess that even seasoned professionals among themselves are unable to find agreement on definitions and terms. I proposed that, for example, the field of surgery will have very specific and exact definitions of, for example, the way to cut through human tissue. Why don’t we have such a common language? Maaret offered as an answer that there may have been a time in our field of study when the words ‘test strategy’ meant the same thing to a relatively large number of people. At least we have books that testify of a test strategy in a confident and detailed way. The fact that the participants of the fifth conference of the Dutch Exploratory Workshop on Testing in 2015 are unable to describe ‘strategy’ in a common way, perhaps reflects the development of the craft since then. As a personal thought I would like to add to this that we should not necessarily think of our craft as a thing that progresses (constantly). It goes through upheavals that are powerful enough to destroy it, or to change it utterly. It may turn out that DEWT5 happened in the middle of one of these upheavals; one that forced us to rethink the existence of a common language. 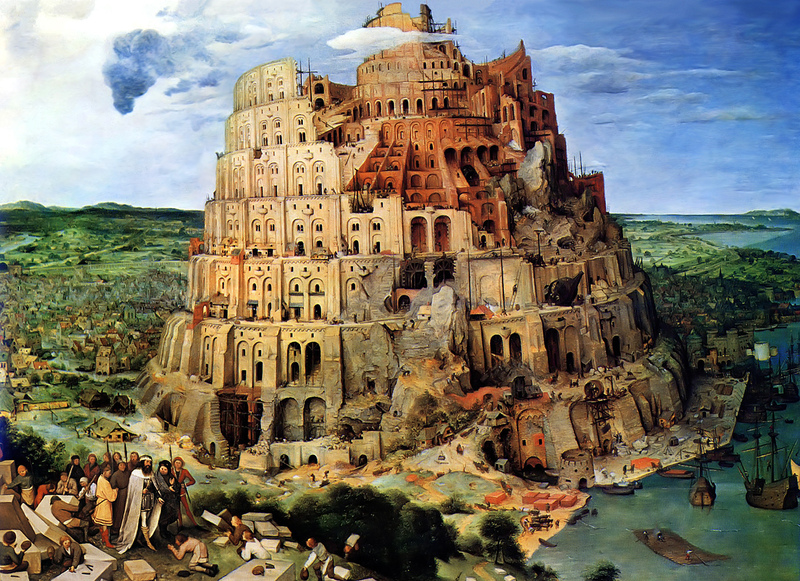 The biblical tale of the tower of Babel suggests that without a common language, humans are unable to work together and build greater things. Perhaps the challenge of working together and sharing knowledge without having access to a common language is what context-driven testing is trying to solve by adhering to experience reports. ISTQB and ISO 29119 are trying to fix the very same problem by declaring the language and forcing it upon the testing community. This is a blunt, political move, but, like the reaction from the context-driven community, it is also an attempt to survive. With regards to my ‘surgery’ analogy, Joep suggested that surgeons deal with physical things and as such, they have the possibility to offer a physical representation of the definition. Software testing deals with the intangible, and as such our definitions are, forever, abstractions. If we want to look for analogies in other domains then perhaps the field of philosophy is closer to software testing. And in philosophy the struggle with definitions is never ending; it runs through the heart of this field. Maybe it is something we just need to accept.